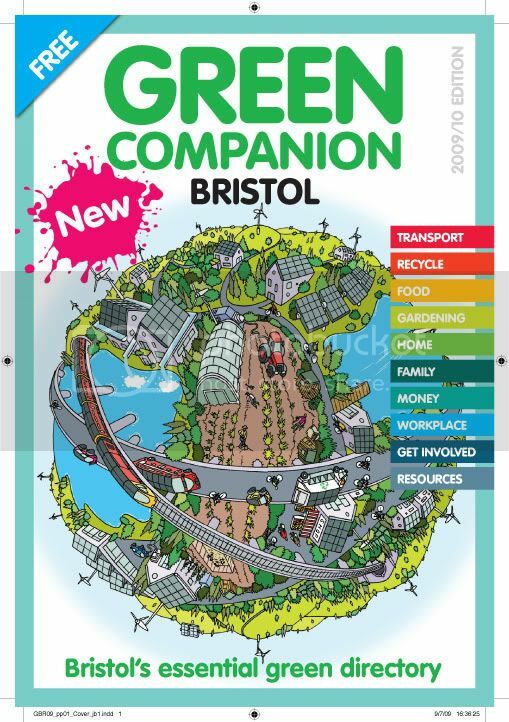 This is the cover illustration I have done for this years Bristol Green Companion. The last couple of years I have provided cover illustrations for the Bath Green Companion which have been dinosaur shaped. 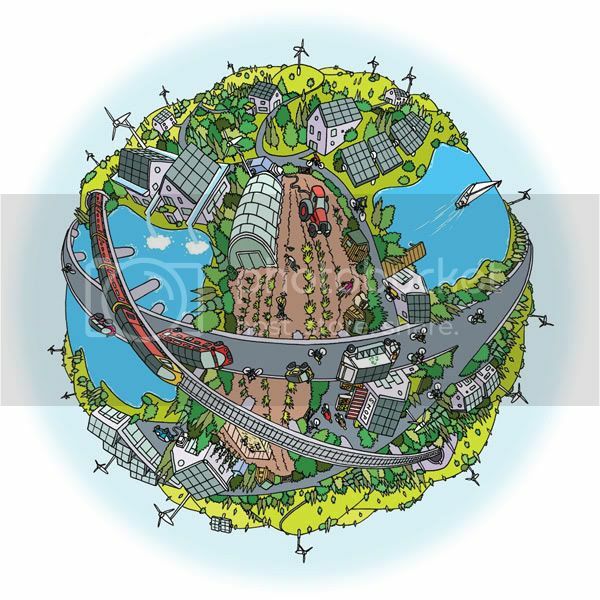 This time I have gone for a miniature world, a green globe featuring wind turbines, solar panels and electric cars. 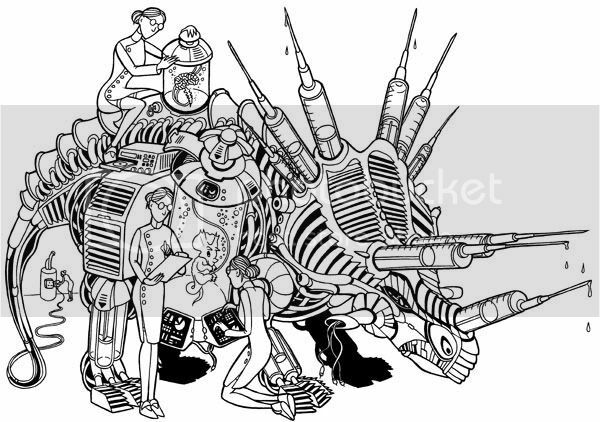 This is my illustration for edition 2 of Biteproof magazine - ''cybernetics, dianetics, and a hypodermic of mutant genetics''. Available early September. The pic is best viewed large over on my Flickr. 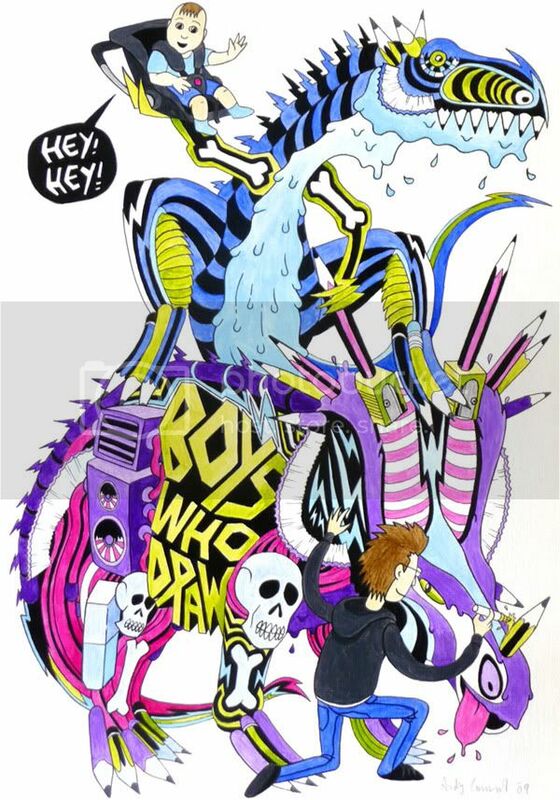 This is my new piece around the theme of 'Boys Who Draw' for the Boys Who Draw illustration collective. It features myself drawing a couple of dinosaurs for my baby boy Felix to play with. The dinos are made up of lettering, pattern, symbols and pencils. The bottom one is based on Styracosaurus and the top one surfing on top of it is a Theropod type beastie. It is carrying baby Felix in his travel seat. Baby Felix is saying 'Hey! Heay!' as thats what he says alot at the moment along with 'E E EE'. I did the piece using pencil, pen and paints. It's nice to get away from computers. This is my latest poster design for the Play It By Ear club night in London. 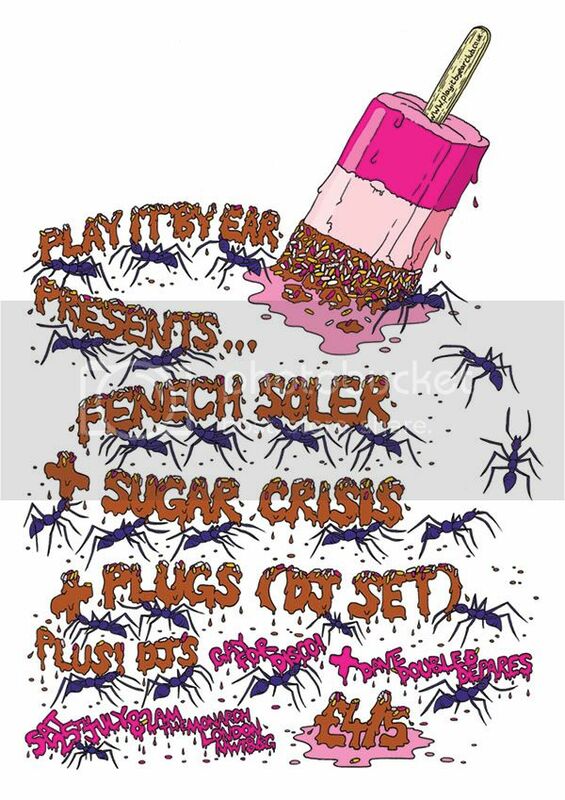 I decided to go for an ice lolly (based on a Fab) melting in the sun for this one as one of the bands is called Sugar Crisis and is a summer gig. The lolly stick doesn't have a joke on it but the clubs website address. 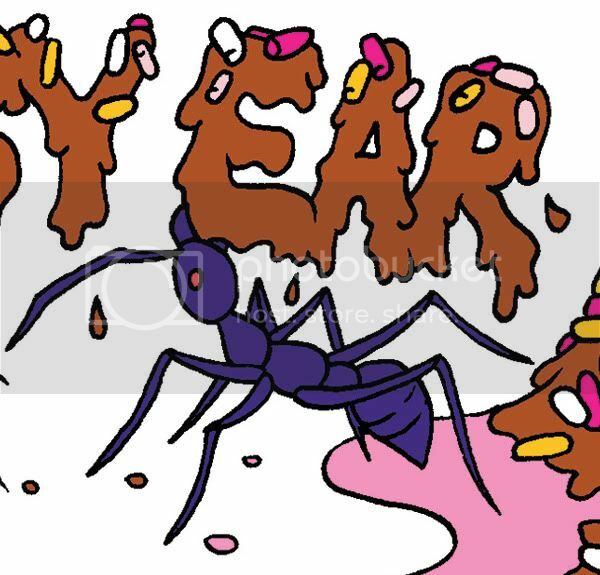 The ants are carrying off bits of the lolly that form the lettering of the poster. I hope it looks like chocolate with hundreds and thousands on it and not poo! 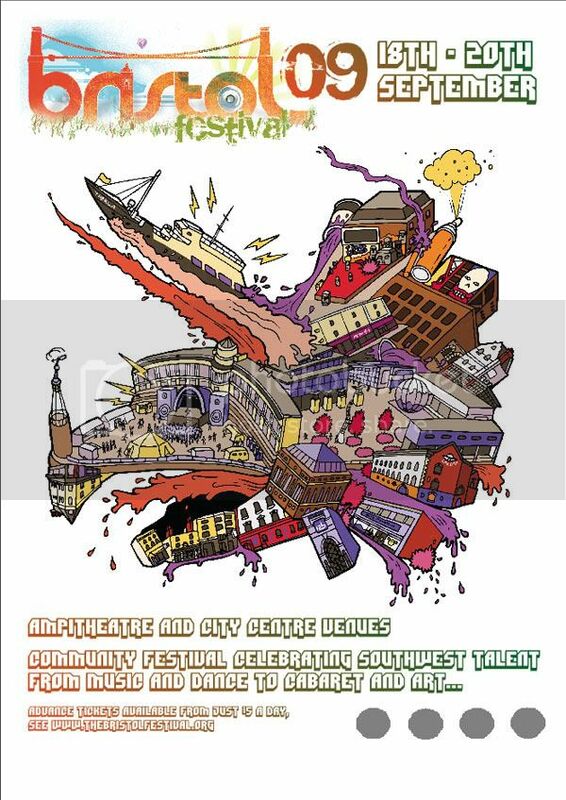 The Bristol Festival poster is now out and about featuring my illustration. 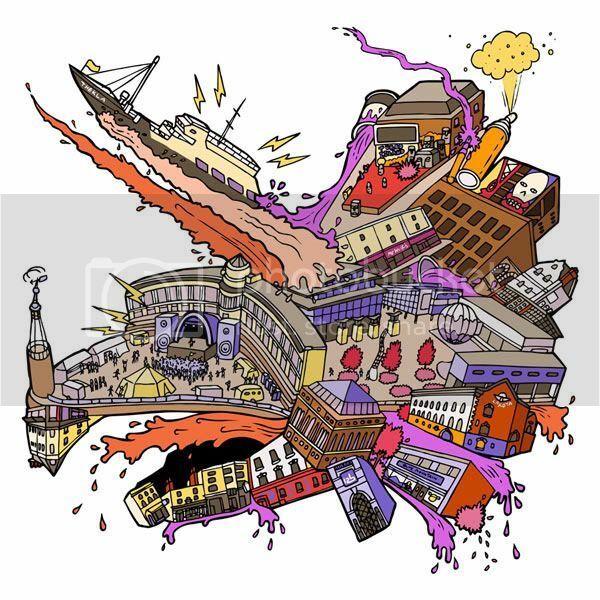 The Bristol Festival; a volunteer built celebration of Bristol culture, inspiring passion and creativity. This exciting community festival is a showcase of talent from the Southwest region, from music and dance, to cabaret and art. Following last year's success, with the Bristol Festival winning Venue magazine’s Top Event of 2008, this year’s festival is planned for the weekend of September 18th, 19th & 20th. The festival is made up of two parts, Brizzolfest and Rave on Avon, which include multiple indoor venues and an outdoor hub of activity in Lloyd's Amphitheatre, Bristol’s central Harbourside area. Performances across 7 outdoor stages and 10 nightclubs will encompass a huge range of the region’s arts, theatre, comedy and music, in an engaging weekend of action packed, highly interactive entertainment. My poster illustration is a Triceratops head type of affair made up of the various locations where Brizzolfest and Rave on Avon take place. The Lloyds Amphitheatre is the eye and the Thekla boat is one of the horns. I have also managed to sneak in Westmoreland House with Before Chrome graff on it. 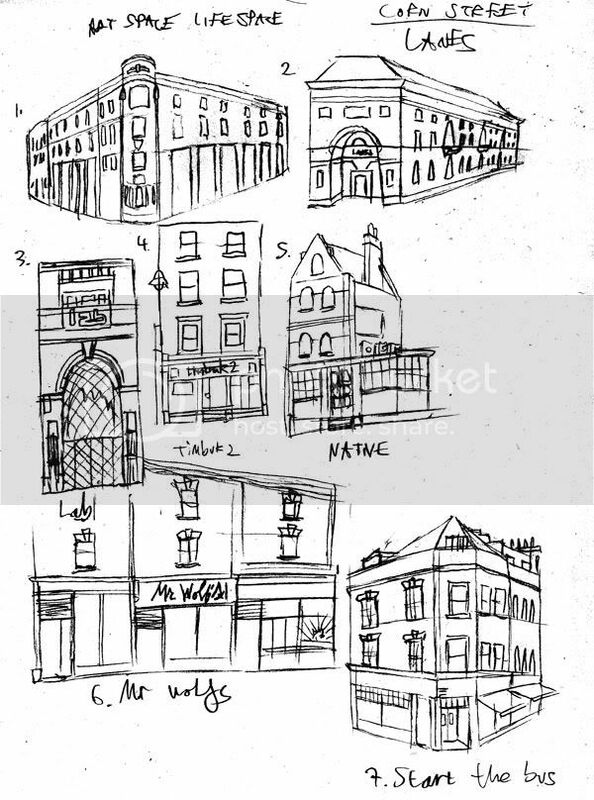 I went round to the various venues taking photos and drawing sketches of them to work from. 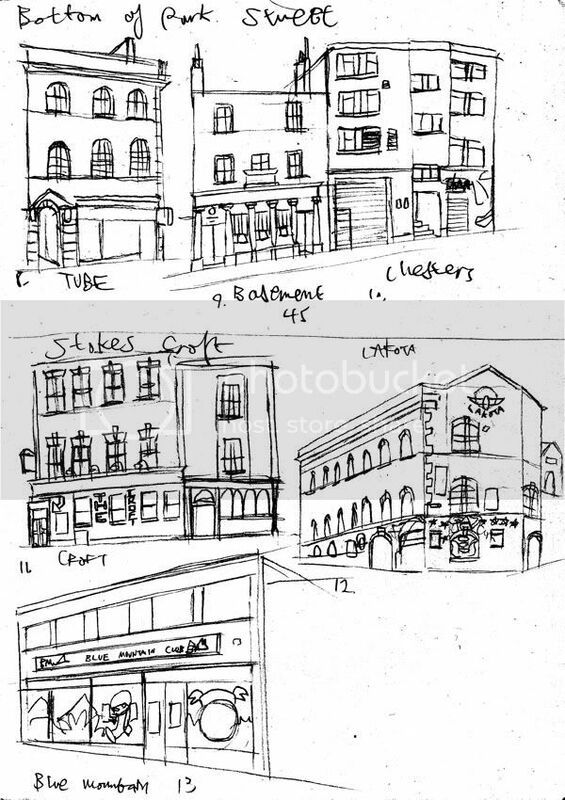 Some of the venues ended up not taking part in the Fest and the nightclub Chesters is now no longer open! 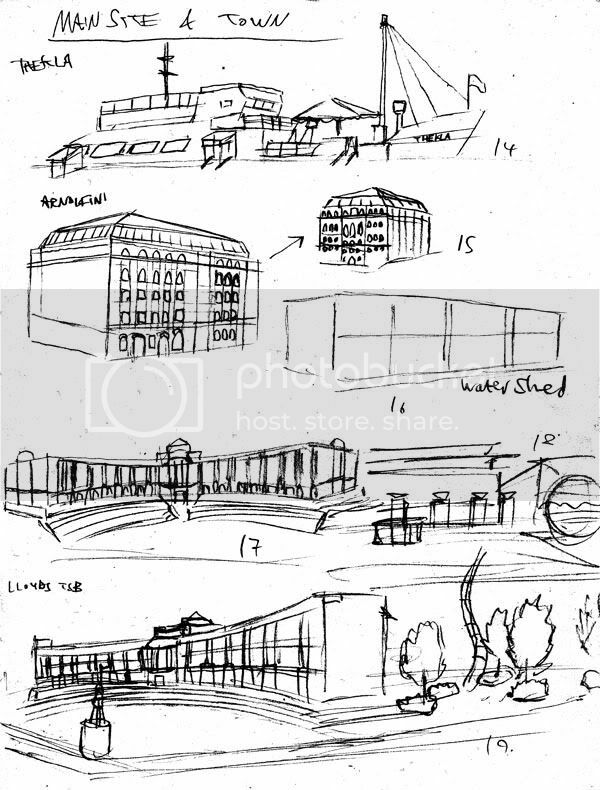 Here's the sketch pages, I quite like them.